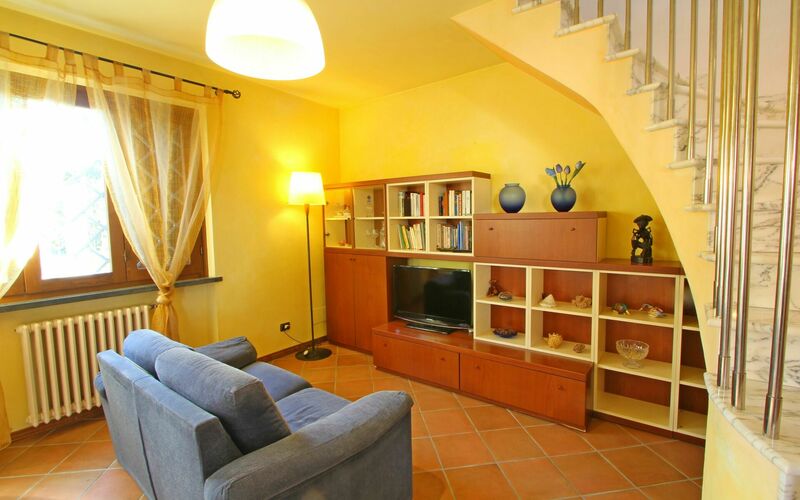 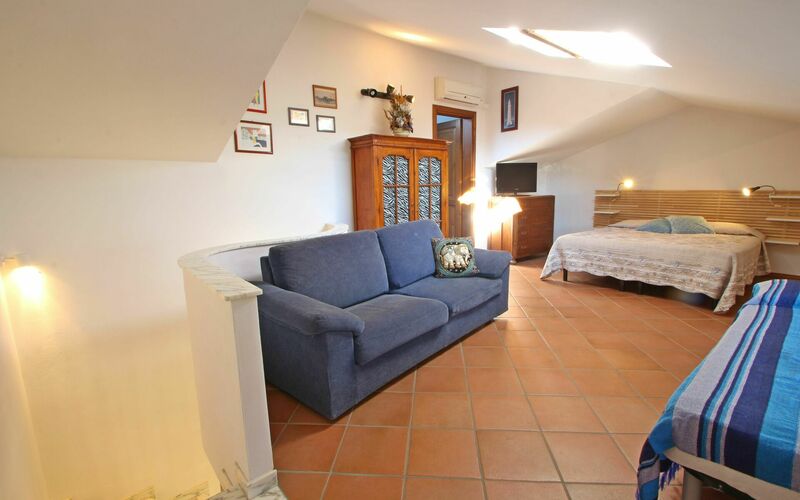 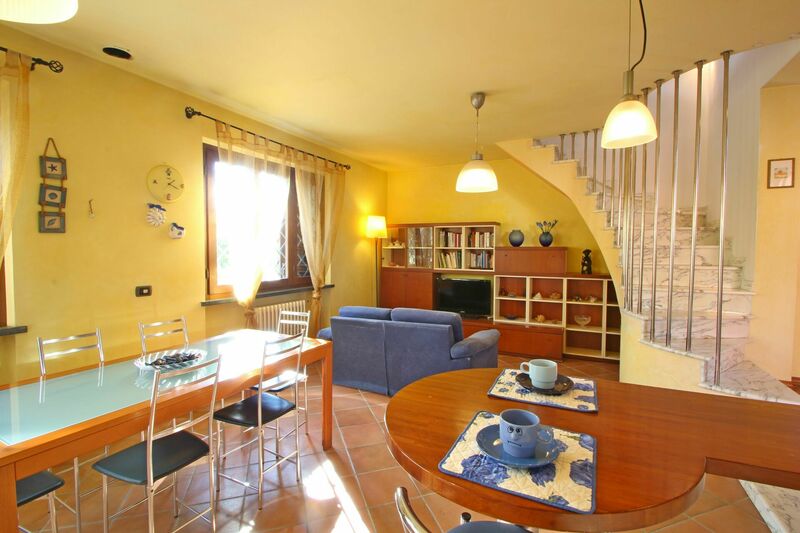 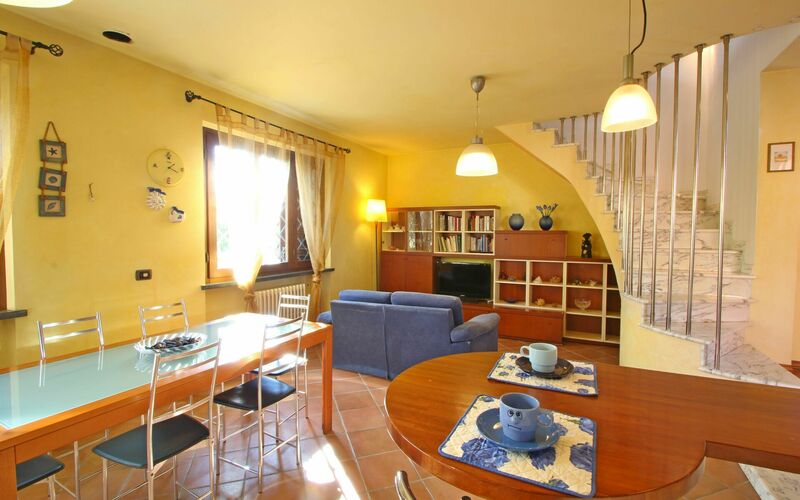 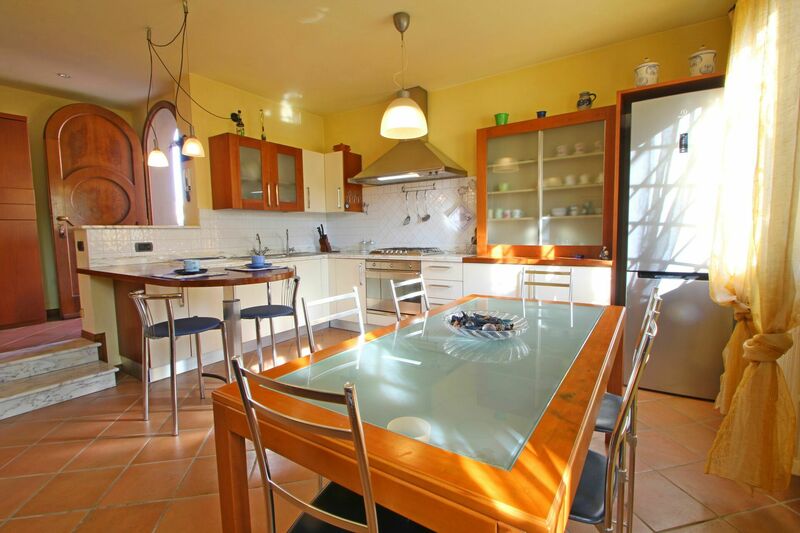 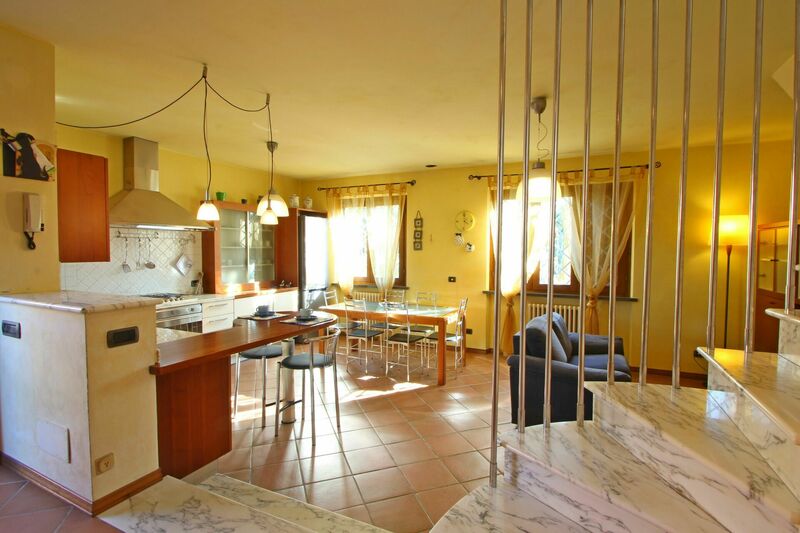 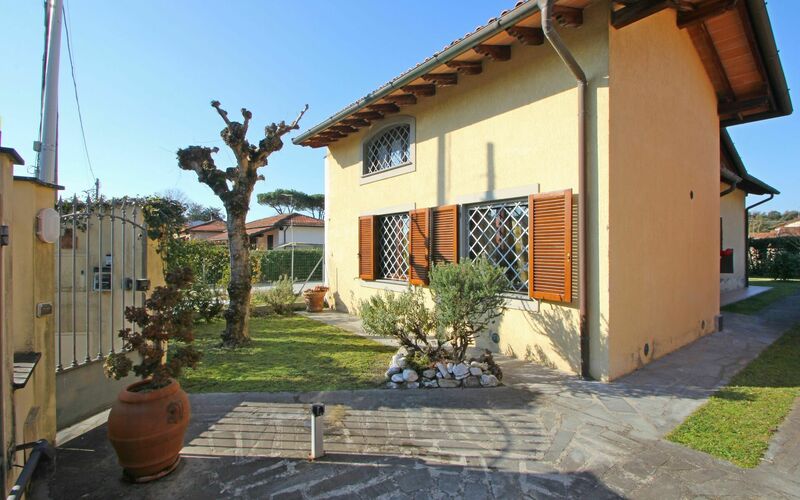 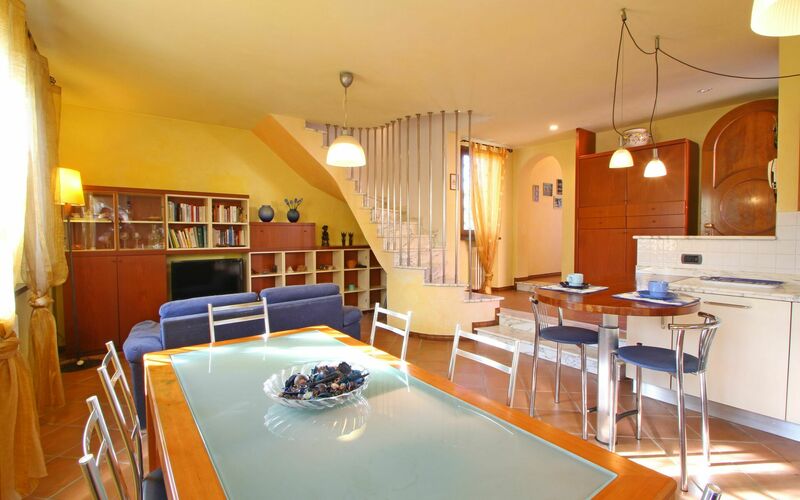 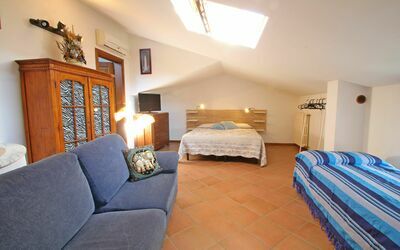 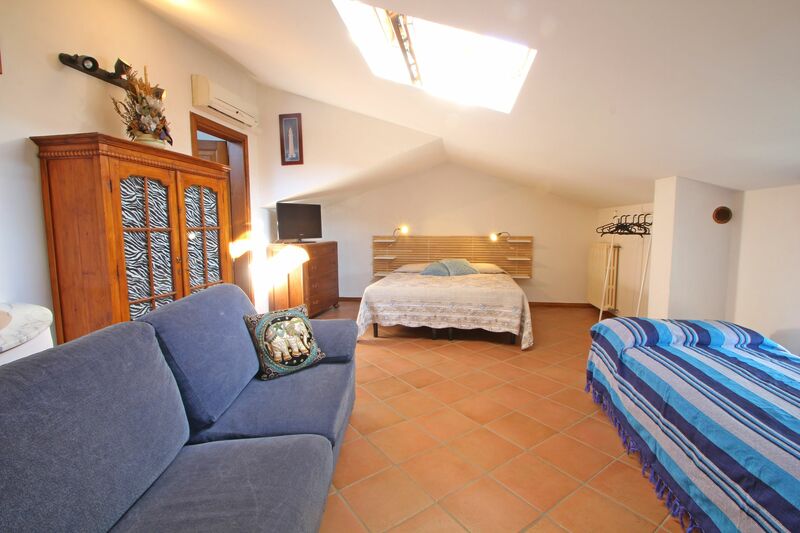 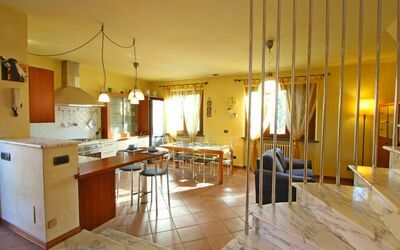 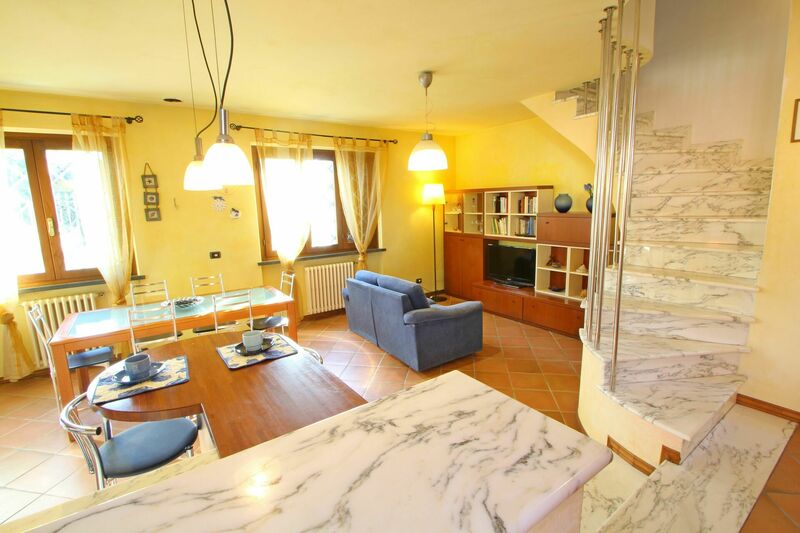 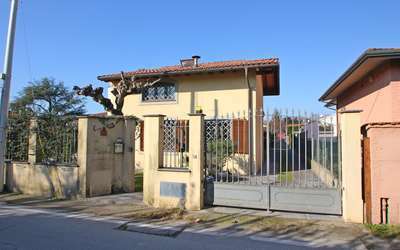 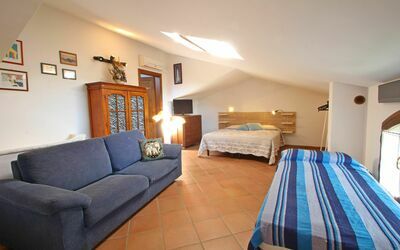 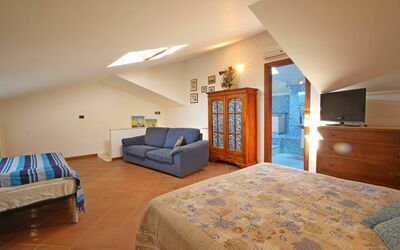 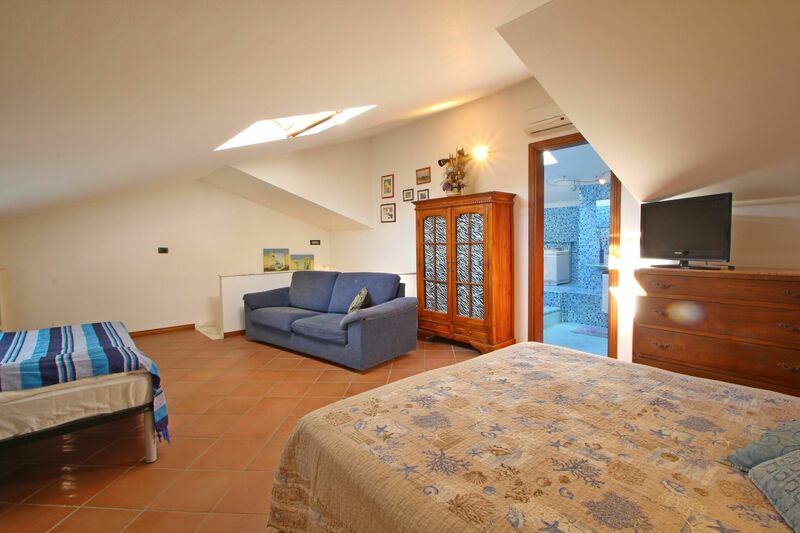 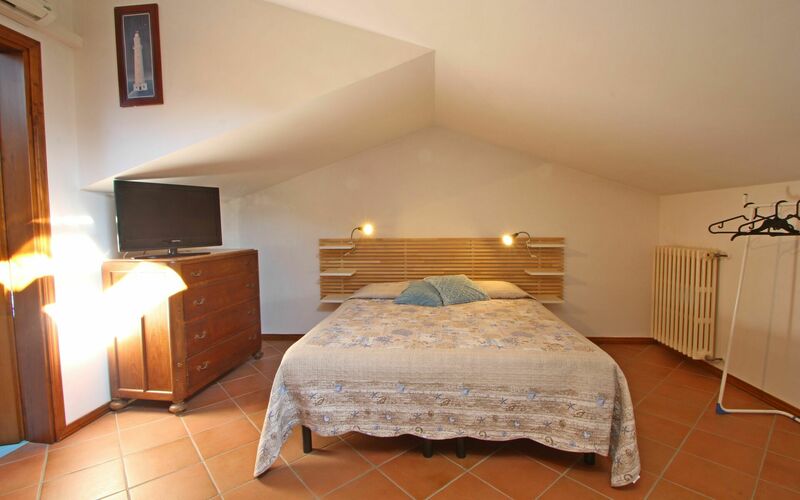 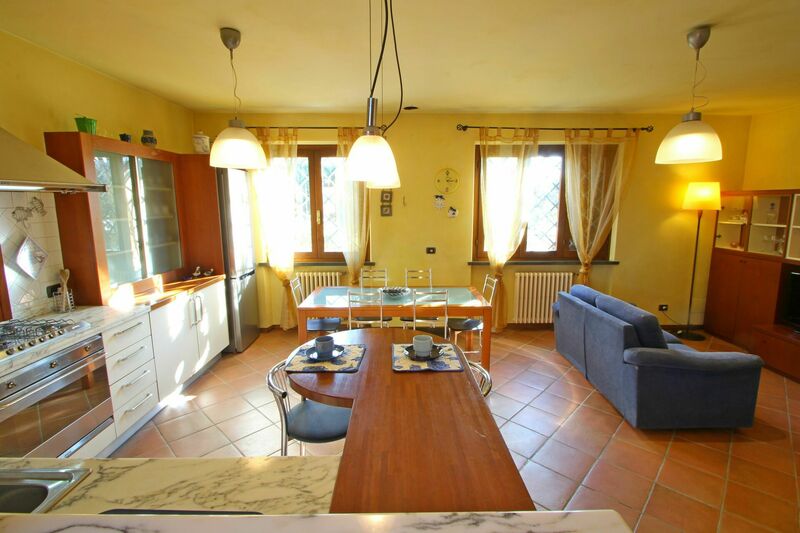 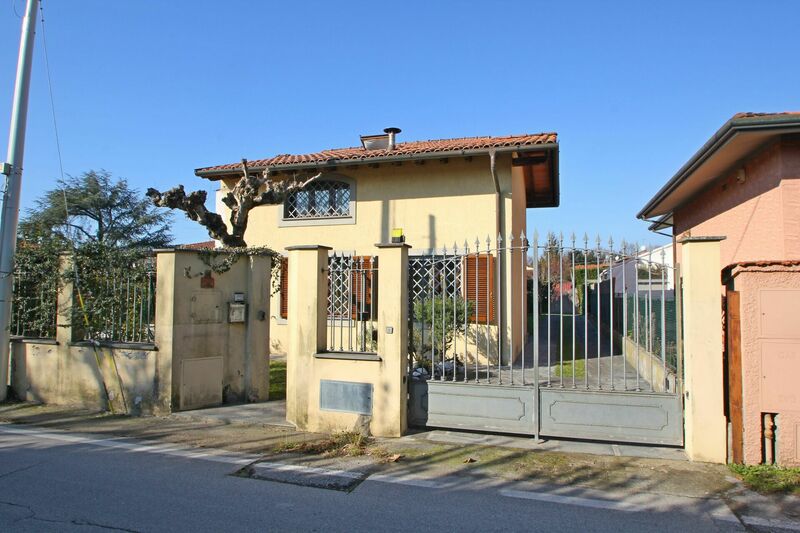 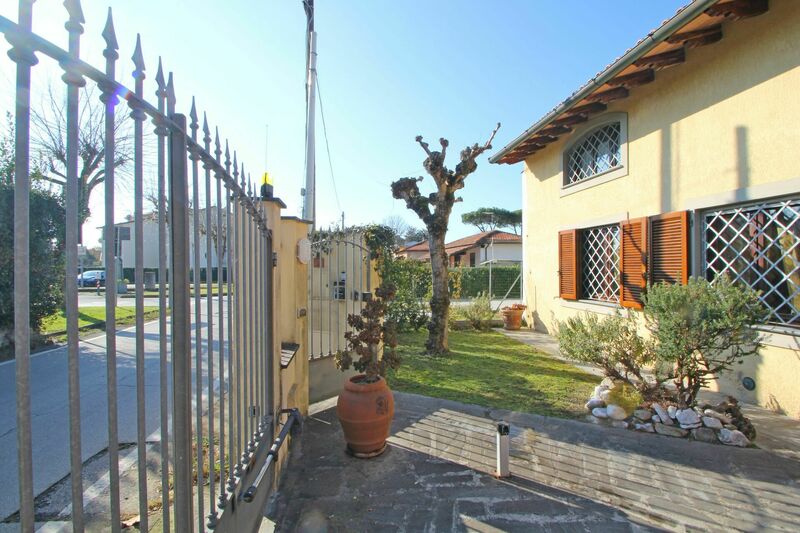 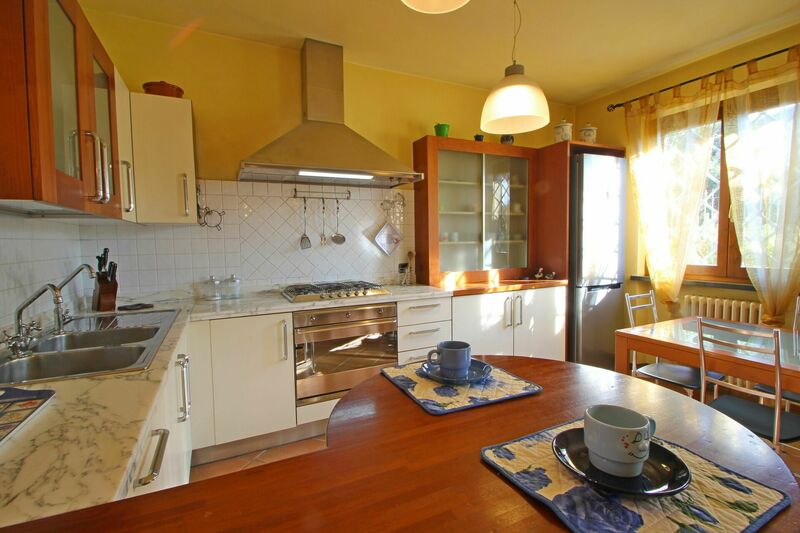 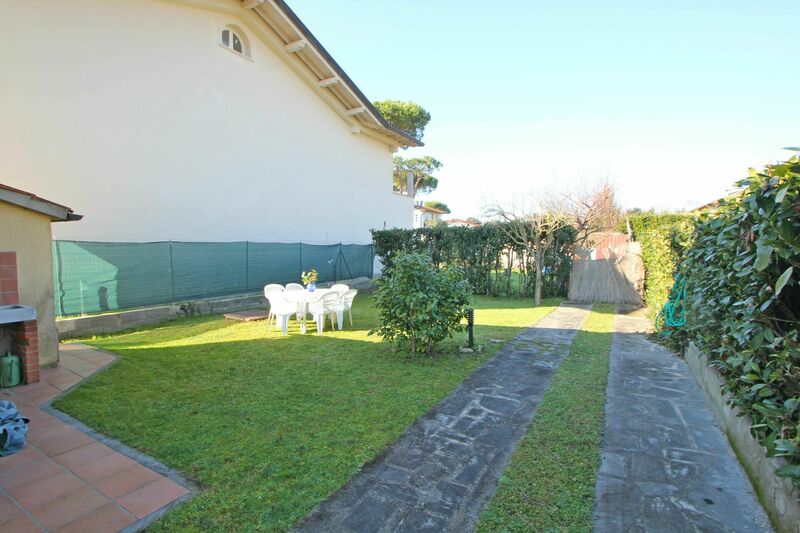 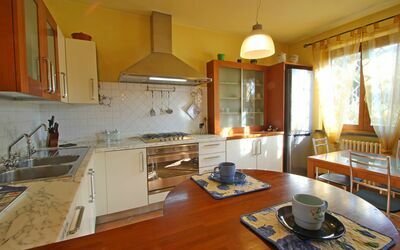 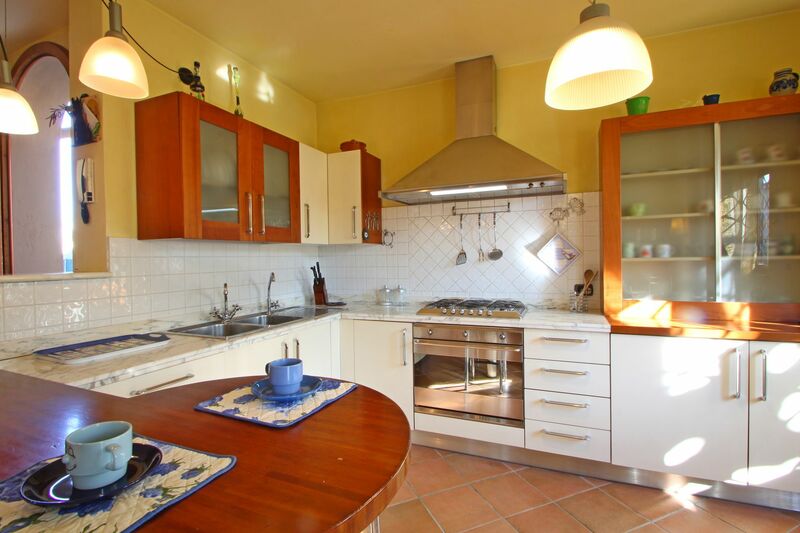 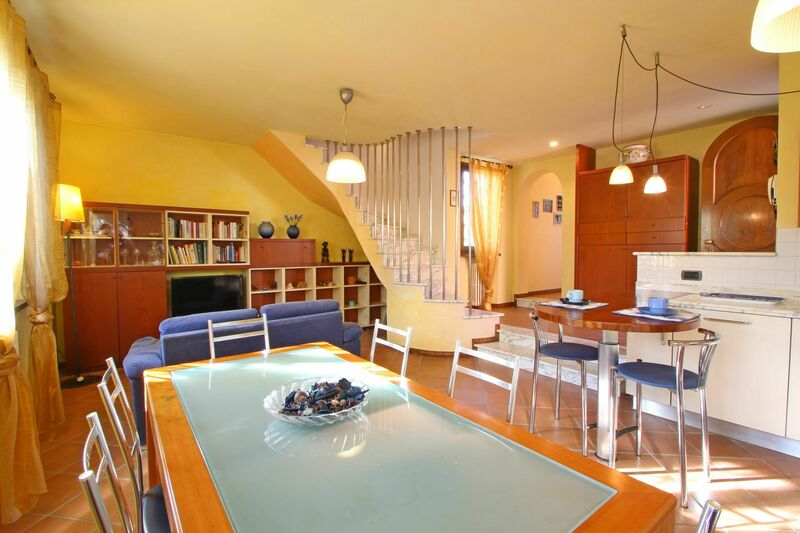 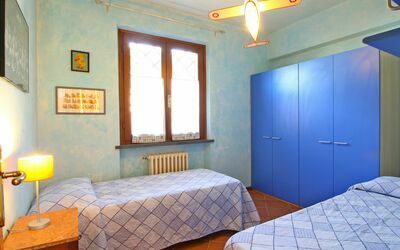 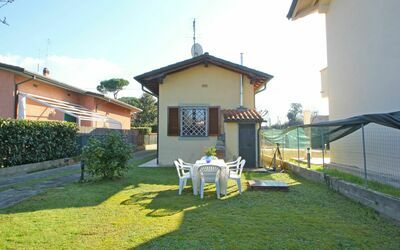 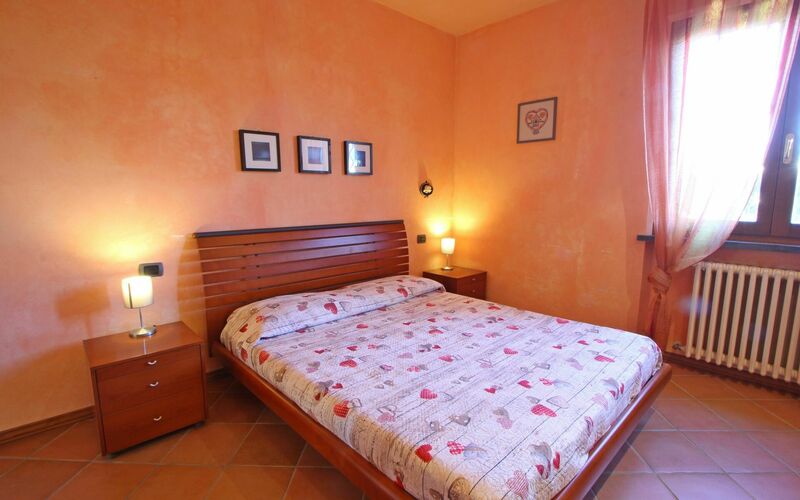 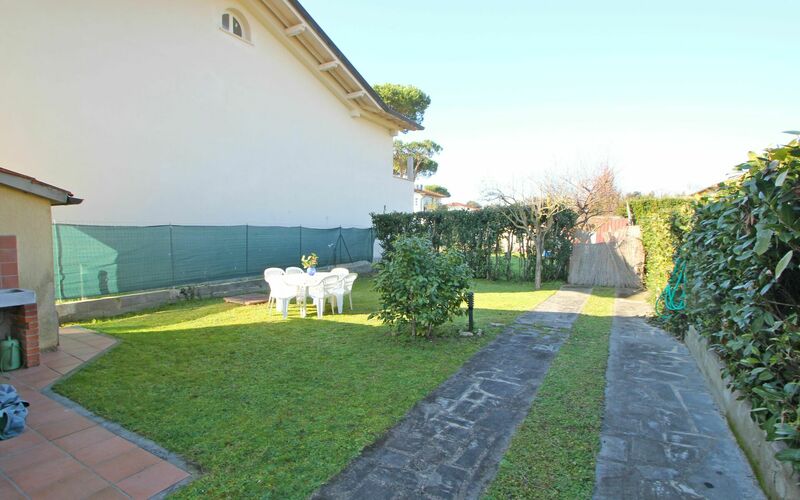 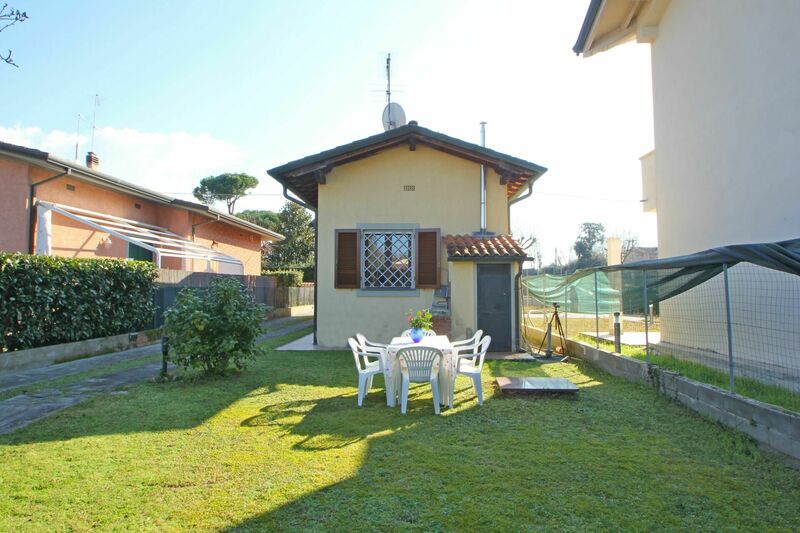 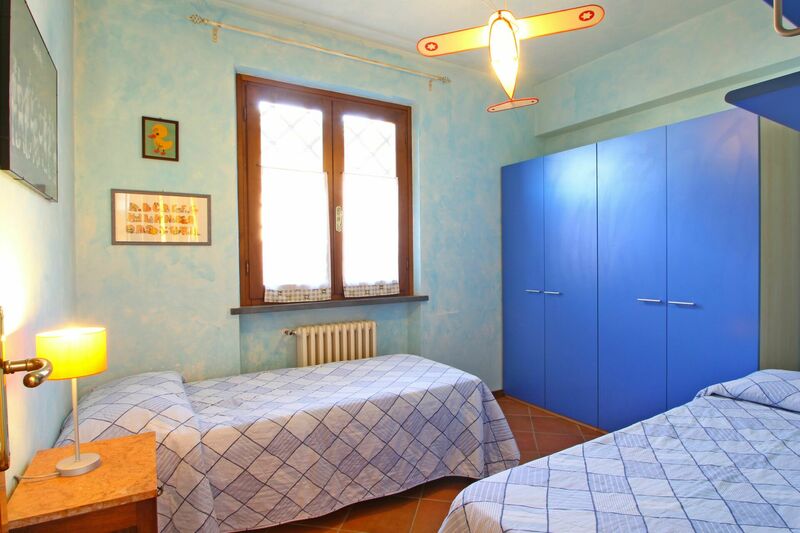 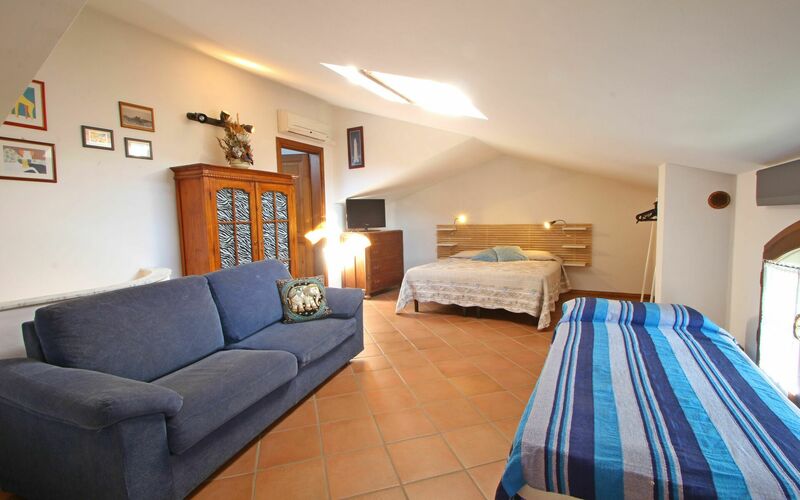 Holiday Villa (120sqm) in Forte dei Marmi, Tuscany, perfect for 7 People in 3 Bedrooms with 2 Bathrooms. 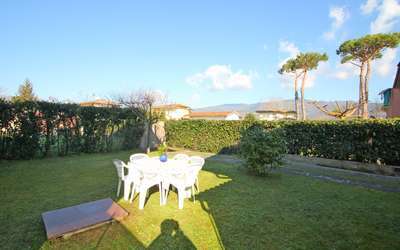 The house is located in a street that brings you directly to the Sea (1100 Meters) and in front of the house is a public parking in addition to the one inside the property for almost 3 cars. The main gate is electric and opens via remote. 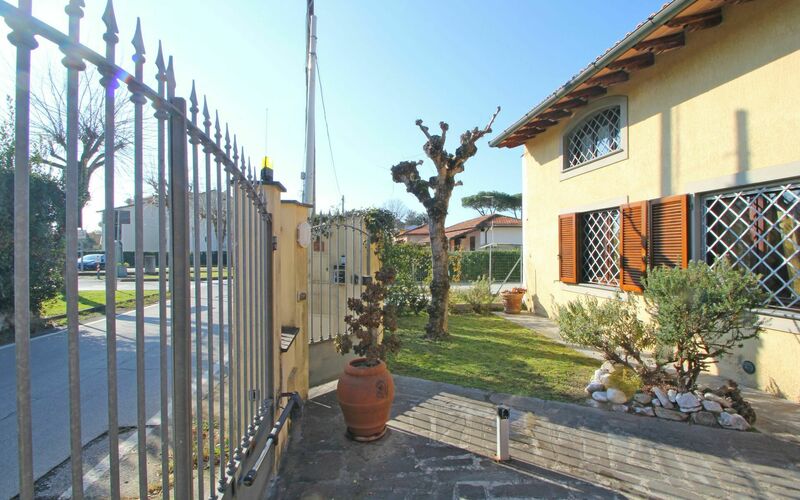 The Villa in Forte dei Marmi features Air Conditioning, WiFi and Satellite Television (Astra) and also a nice private and fenced garden (250 sqm) with a gazebo, dining table and barbecue. 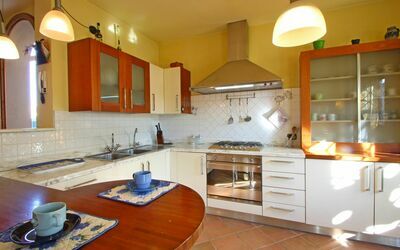 Close to the Sea are a few shops as a grocery store, bar, pharmacy, pizzeria and restaurants. 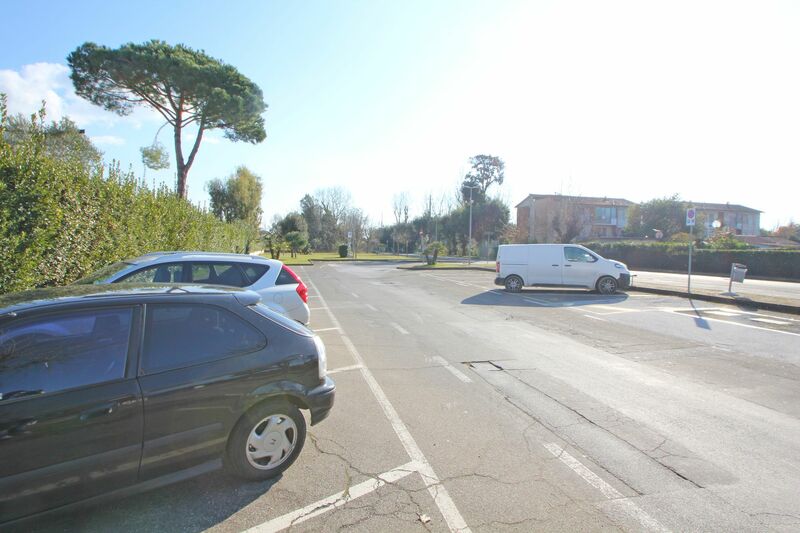 Larger supermarkets are at 2Km. The center of Forte dei Marmi, with its boutiques is a 2,5Km distance. 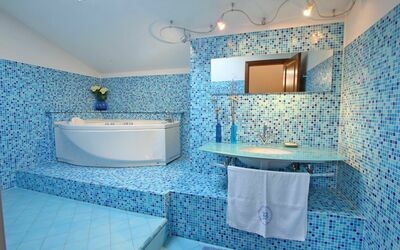 This villa for vacation is very bright and pleasant to live in. Large Living Room with Kitchen: Sofa, TV, SAT Receiver, Dining Table, Oven, Fridge/Freezer, Microwave, 4 Gas Stove Top, Italian coffee maker, breakfast corner for two. 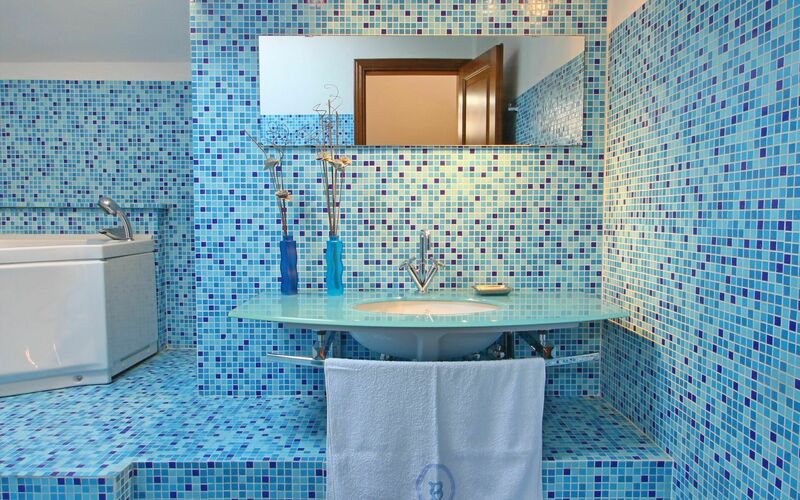 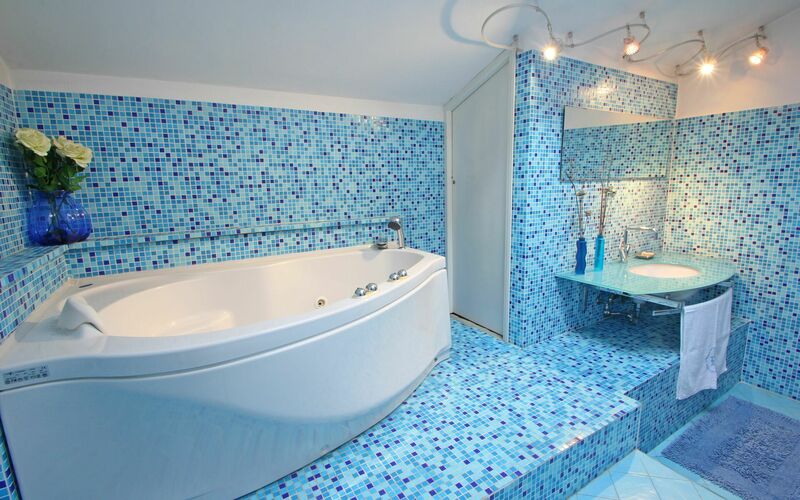 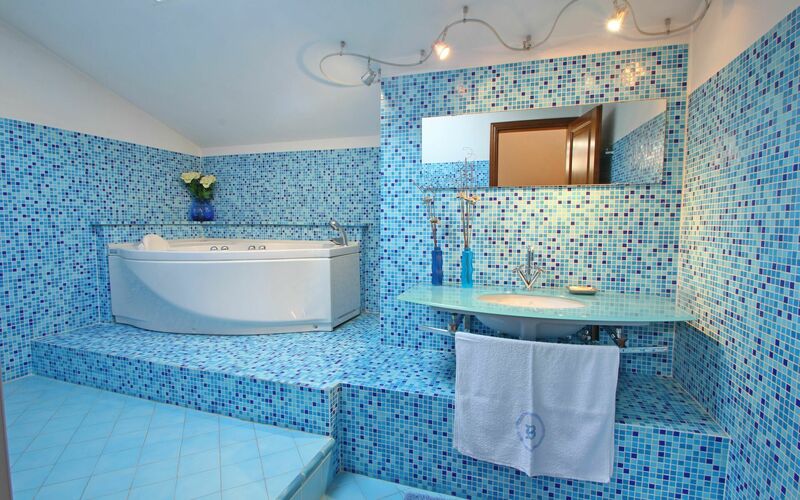 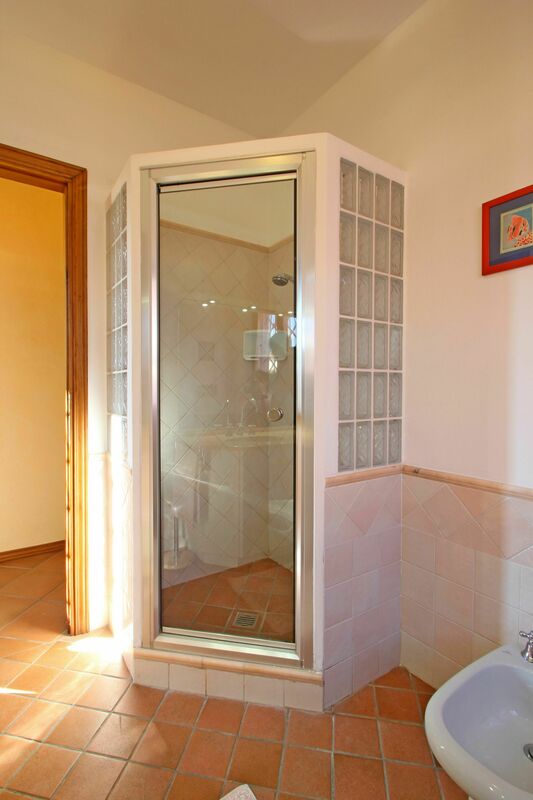 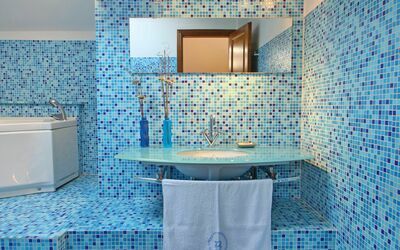 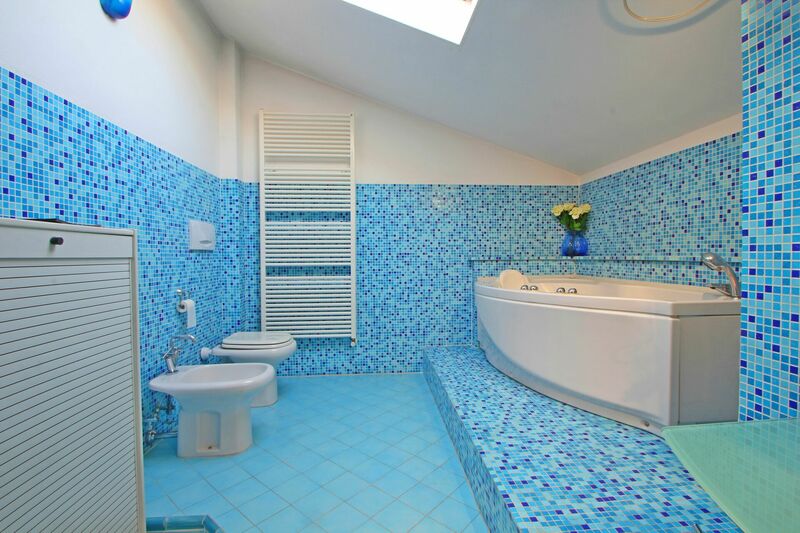 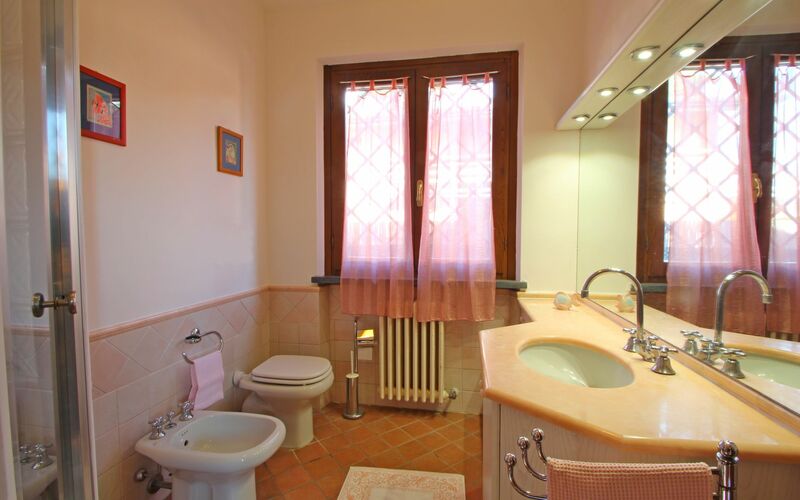 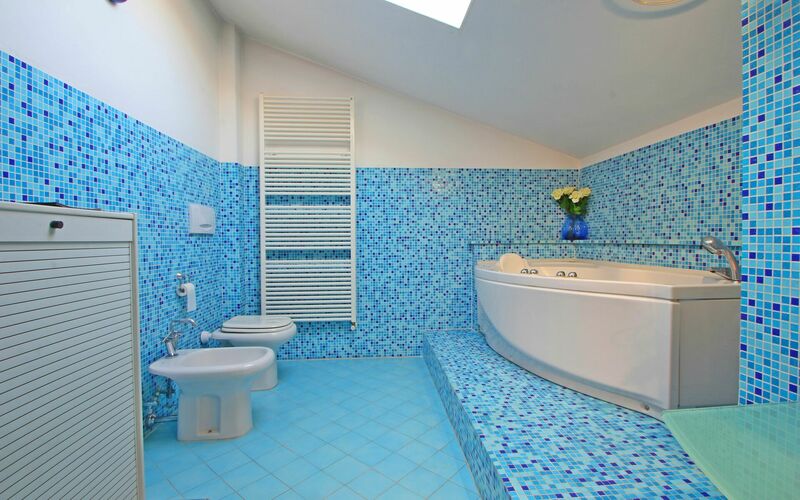 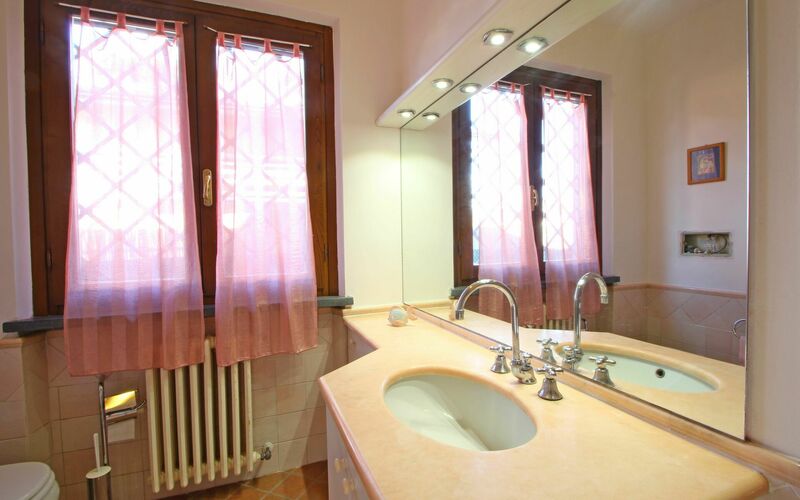 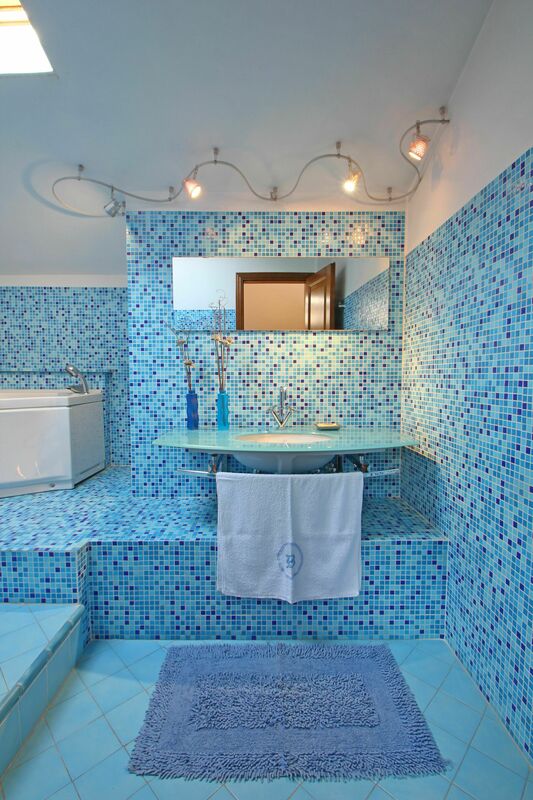 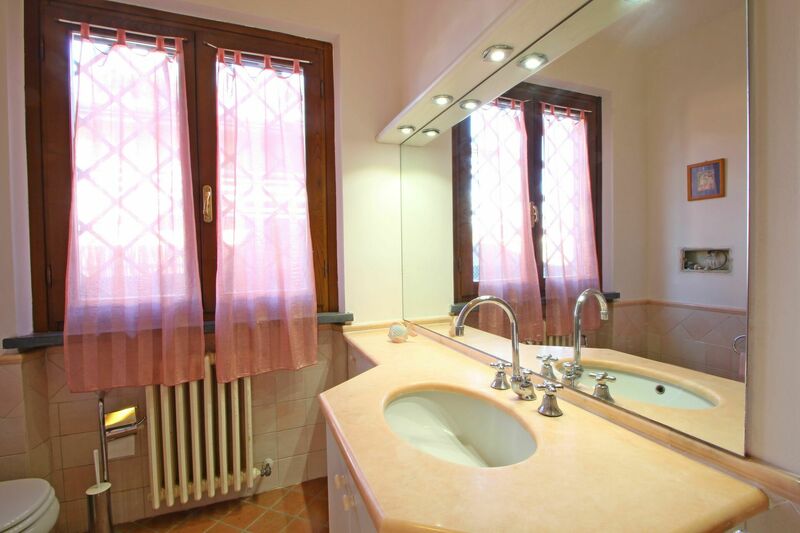 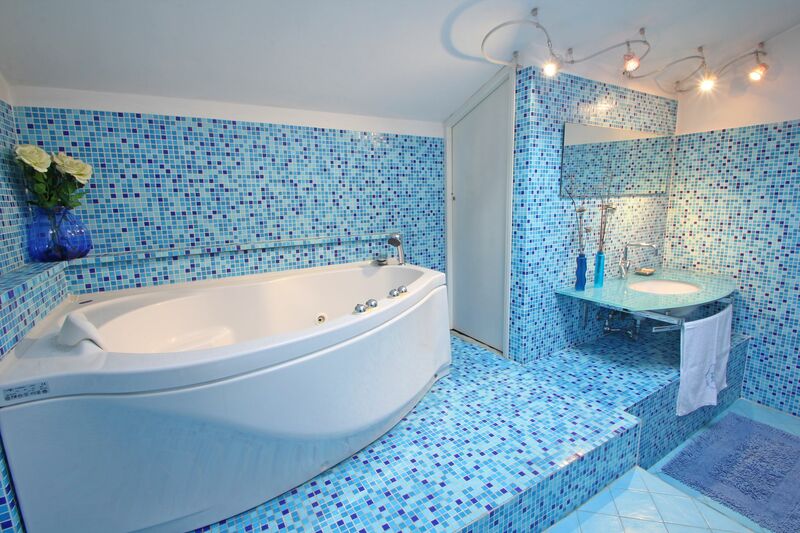 - Bathroom with basin, toilet, bidet and shower. 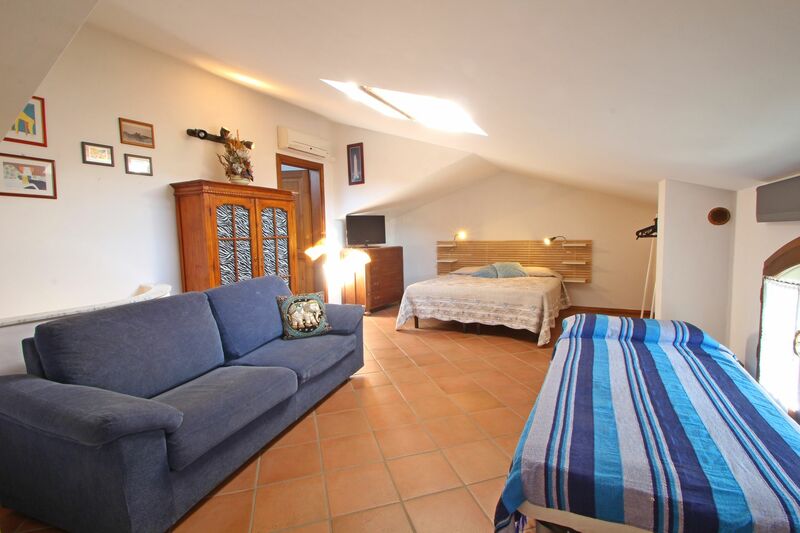 First Floor:Beautiful attic bedroom with double bed, single bed, sofa, TV, Air Conditioning and private bathroom with Jacuzzi Bathtub, basin, toilet and bidet. 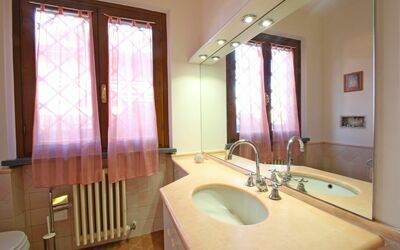 Accessible from outside is a service room with washing machine and dryer.